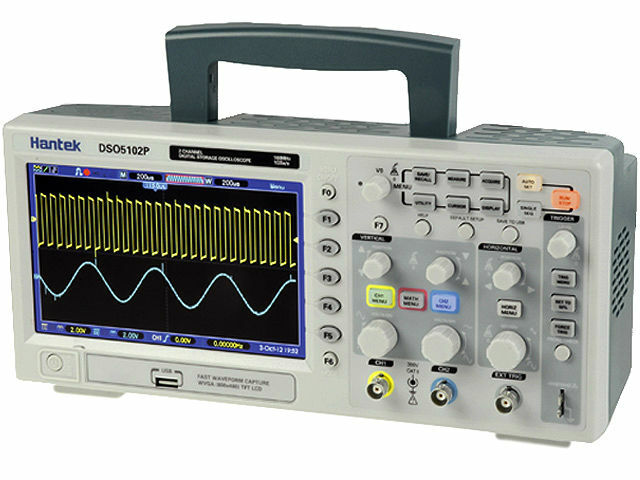 The DSO5102P series is a family of 2 channel oscilloscopes enabling to run precise channel diagnostics in 100MHz bandwidth. Real time sampling at 1GS/s (25GS/s in equivalent sample rate) provides exact mirroring of tested runs. Numerous measuring features like automatic measurements, screen capture, mask test feature, or PC software, allow you to swiftly run a wide range of diagnostic activities. The offered parameters allow using the devices in services, industrial applications, R&D departments, or education.